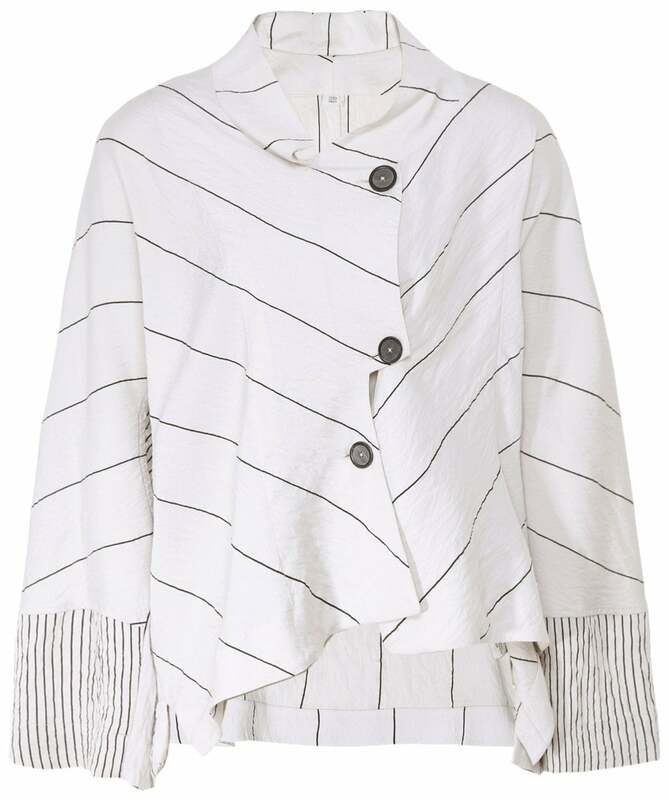 Invest in a contemporary statement piece for your casual wardrobe with the Crea Concept striped asymmetric jacket. Crafted from a lightweight material to allow for spring/summer layering, this eye-catching jacket boasts a distinctive design, with an asymmetric button fastening to the front, asymmetric stepped hem, stand collar and a quirky multi-directional striped pattern throughout. Style your Crea Concept jacket over a basic t-shirt and casual trousers for a modern seasonal look.